Trolley Tour for actual purchasers from our local institutions. 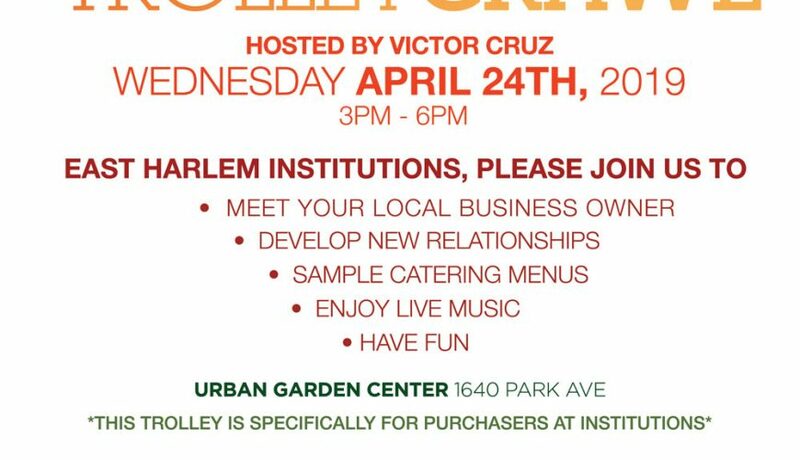 After we visit the local businesses we will have additional vendors set up at Urban Garden Center with some live music so purchasers from institutions can meet other merchants who don’t have a brick and mortar. Live music and snacks and refreshments will be provided. This Trolley ride is specifically for purchasers at institutions. East Harlem is a vibrant neighborhood with a rich cultural heritage, and one of its greatest assets is the wonderful sense “community” that is shared by all who live and work here. Copyright© 2019 East Harlem Community Alliance All Rights Reserved.